A man was found dead inside the body of a python, according to Indonesian police. Akbar, 25, went missing on March 26 on the island of Sulawesi, after leaving to harvest palm oil. 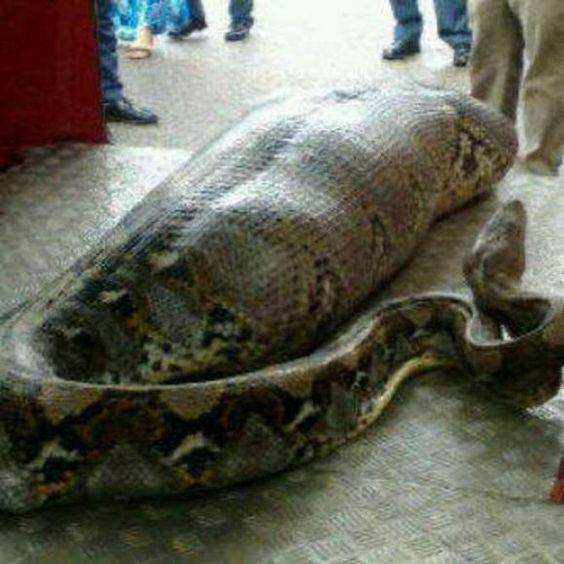 In the search for the missing man, police had found a huge snake they suspected had swallowed the man. The reticulated python, reported to be 23ft-long, was cut open and the man’s body was found. Reticulated pythons are among the world’s longest reptiles and suffocate their victims before swallowing them whole. Villagers reported to police that Akbar had been missing for 24 hours. Police then conducted a search and found the snake near the family’s palm plantation. While snakes normally avoid human settlements, they would see palm oil plantations as a good hunting ground as they attract animals like boars, primates or dogs.